Diabetes: Diet Instead Of Injections? Is a special diet a cure for type 1 and type 2 diabetes? This supposition is being expressed by cell biologists based on an animal study. They evaluate their results to be relevant to human medicine despite open questions. Interval fasting, ie. intermittent fasting, prolongs the life expectancy of rodents. This insight was already gained by scientists years ago. A team led by Valter D. Longo, Los Angeles, shows how complex the effects are on metabolism. He worked with mouse models for type 1 and type 2 diabetes. His animals were given a so-called fast-imitating diet low in calories, proteins and carbohydrates, but with a high percentage of unsaturated fatty acids, for four days. Other diabetic mice were nourished normally. Longo reported lower blood glucose levels in rodents in the intervention group. He sees as one reason for this among others the upregulation of Sox17- and Ngn3 genes. 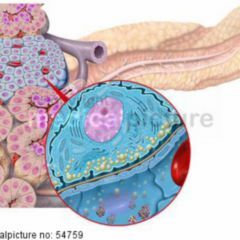 Through this process, neurogenin3-producing cells (Ngn3 +) are activated, and insulin-producing beta cells were regenerated in the pancreas. In another study Longo reports results from 71 volunteers. For five days per month for three months they received either a fast-imitating diet (FID), or a normal diet with an ensuing switch over to the diet group. In the FID group, the weight, BMI, body fat and waist circumference decreased. Lower levels of insulin-like growth factor IGF-1 were measured in the blood. There is a lot of reasoning which supports interval fasting. There are however also commercial conflicts associated with Valter Longo: he is involved with L-Nutra – a company that offers various diets. This is reason enough to take a critical look at the data. 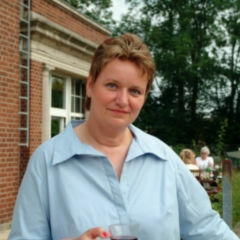 “The current study shows that cycles of a special fast-imitating diet could stimulate the regeneration of insulin-producing beta cells in the pancreas in various diabetic mouse models; this apparently works through a ‘reprogramming’ of endocrine pancreatic cells”, explains Professor Dr. Susanne Klaus. 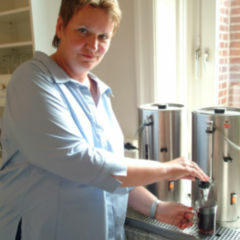 She is head of the working group Physiology of Energy Metabolism at the German Institute of Human Nutrition (DIfE), Potsdam-Rehbrücke. 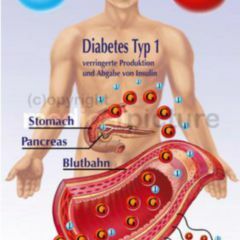 “The interesting thing is that pancreatic cells were able to rebuild insulin-producing cells in already diabetic mice”. It’s thus not the case that we are looking at preventive or delaying action here, she says. Whether any regeneration potential is present in type 1 diabetes is hard for Klaus to assess. “Even if this is the case, it is by no means clear whether this recovery mechanism would be stronger than those which cause the destruction of beta cells”. They expect that this method would work better in type 2 diabetics. Whether and how long the effect holds after completion of the complicated diet regime is subject to question. She sees at least one use in new therapies in the detection of cellular regeneration. Professor Hans Hauner, Director of the Department of Food at the Technical University of Munich, also confirmed that periods of fasting stimulate the regeneration of beta cells. “To some extent this could also be transferred to the situation as it relates to humans. 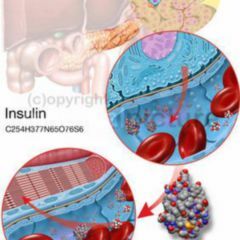 Whatever the case, evidence stands out that such a diet actually also promotes beta cell regeneration in patients with type 1 or type 2 diabetes, thus substantially correcting the lack of insulin, or at least alleviating it”. In this context, Hauner has a desire for a clinical study of patients with type 1 or type 2 diabetes. The study should also show whether other forms of severe calorie restriction show similar effects. His comment is justified. According to earlier publications, there are other mechanisms with which our body reacts, should food be absent. Adam J. Rose from the German Cancer Research Center (DKFZ) in Heidelberg together with colleagues found out in particular that food abstinence affects the transcription of a gene which codes for GADD45β. The stress to liver cells caused by fasting seems to boost its biosynthesis. Mice lacking the gene developed a slight fatty liver. When they were given the protein, the fat content of the liver then normalised, and glucose metabolism improved. A central question remains: are the positive effects of food deprivation able to be imitated by active agents?